Everywhere – In every place or part; in all places. The power to partner everywhere means that throughout your business, wherever it engages with external partners, the mindset, skillset, and toolset to partner well are infused in the culture, ingrained in behavior, and integrated into how work gets done. Building this capability is an urgent organizational imperative. You need it to benefit from the transformation heralded by the technologies of the fourth industrial revolution. The economic and human value these technologies are expected to produce is huge – as much as $11 trillion per year from the Internet of Things, just one such technology. The relationship with the customer is being upended and business processes and business models are being reshaped by these technologies. But no one company can do it alone. The speed, scale, and scope of partnering required today are unprecedented. Partnering is ubiquitous. 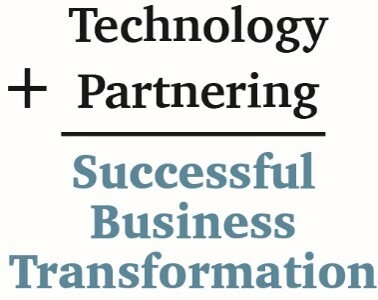 To benefit, you need a next generation partnering everywhere capability. This is not traditional hub-and-spoke, one-to-one partnering where companies try to exert a level of control over their partners and dictate their experience. It is partnering with a holistic, outside-in lens that is focused on the customer experience and assembles the network of partners, often 5 to 7 for technically and scientifically intensive solutions, required to deliver that experience, for that specific customer situation. It is partnering that creates a value proposition that satisfies diverse interests through the use of a range of partnering models from loosely bound to tightly coupled. And it is partnering in which your company will play a variety of roles as it creates, delivers, and captures value in a digitally transforming world. Designing and building this capability is a journey. The executive suite must lead a well-structured and resourced organizational development program focused on execution and outcomes. This will be an iterative data-driven process that will reshape your organization and how it empowers employees to engage in the ecosystem, creating value for customers, partners, and stakeholders. It is not a niche project that gets shunted aside for “more pressing matters.” It is the central challenge of organizational capability confronting executives today – and cannot be ignored. Therein lies the path to the gold.